In the event that you need to devour a sweet yet nutritious drink alongside your breakfast, look no more distant than Tang. Tang is a sweet, tangy, orange-enhanced, non-carbonated soda mix blend made in the United States and named after the tangerine fruits. Tang is also the first powered beverage to drink in the space. Isn't that awesome? Today, Tang is giving your family a sweet tasty drink to enjoy — the Tang Sweet Orange Juice. This Tang new flavor is made only for Mindanao, and in result to research development conducted of what Mindanao taste buds needs when it comes to finding beverages that best suits the Mindanaons. This product is a great wellspring of calcium and contains 100 percent of the recommended daily value of Vitamin C.
There's a lot of ways in preparing the drink depending on your cravings. 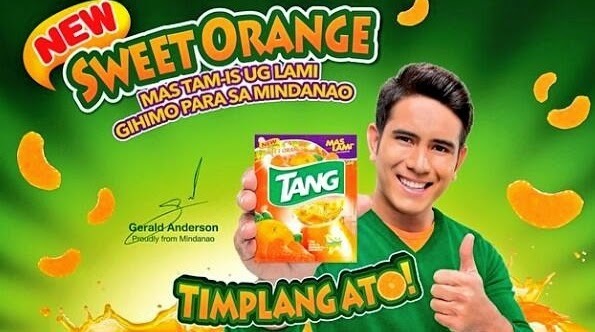 Gerald Anderson on hot seat as the official endorser of Sweet Orange Juice by Tang for Mindanao. Beside him is Lawrence Lorico, the Tang brand manager. Both were grilled from medias questions. 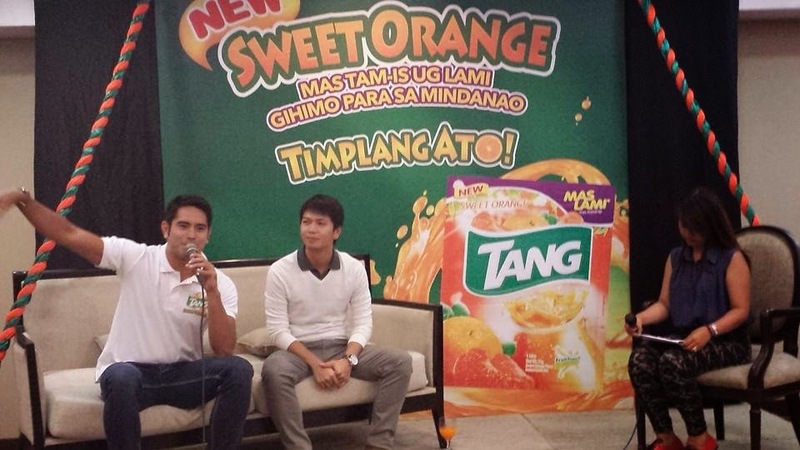 Tang Sweet Orange juice is also HALA-certified and has fruit power 7. It is available in 25 grams sachets for only P8.95 suggested retails prize in any store Mindanao-wide. So, what are you waiting for? Try this flavor now. It is far way flavorful than any Tang powdered juice verities. 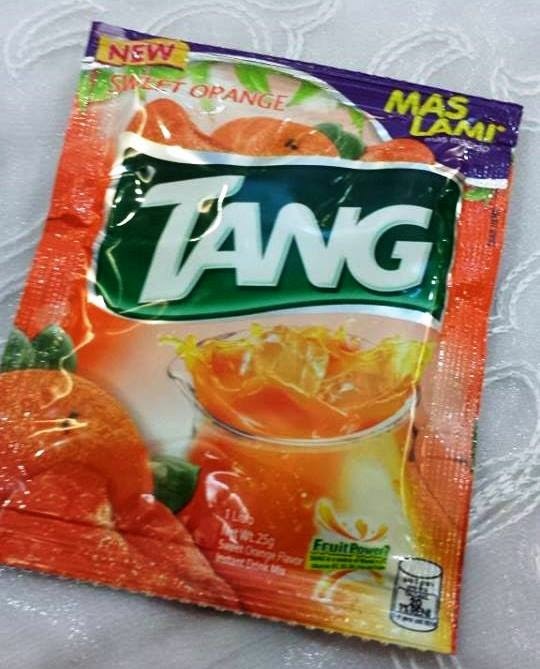 Again, a Tang made especially for Mindanao. Don’t forget to like Tang Philippines on Facebook.